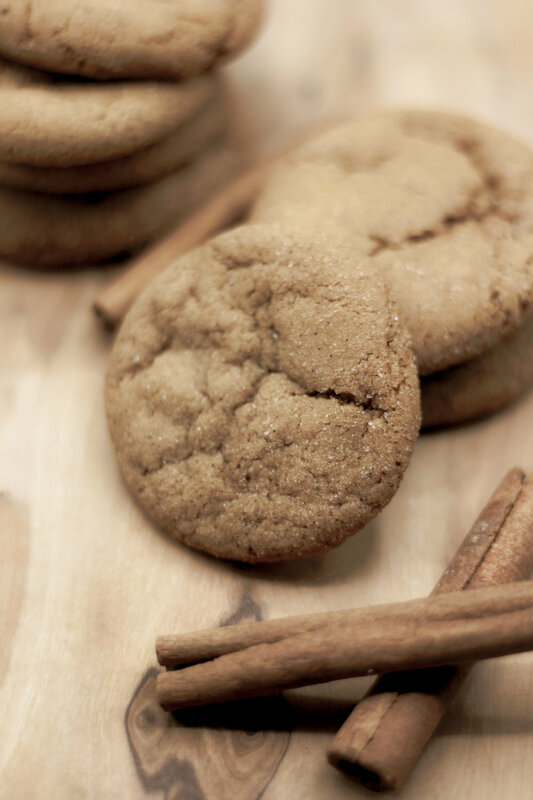 These gingersnaps are one my favorite all time cookies! I make a big batch of dough the start of every holiday season to keep in my freezer and bake off throughout the winter. These cookies are so addicting though, that they usually don’t even last until Christmas. For extra spice you can add some black pepper into the sugar that the cookie gets rolled in. In a mixer cream butter and sugar together until fluffy. Add eggs one at a time and mix until emulsified. Slowly add the molasses and vinegar, the mixture will look slightly separated at this point but will come back together once the dry ingredients are added. Add in flour, baking soda, salt, and all of the spices. Mix until the dough comes together, making sure to scrape the bottom of the bowl so all the butter is fully incorporated. Wrap and chill dough for several hours or overnight. Divide dough into 20 g pieces, roll into balls and dredge in granulated sugar. Place cookies on baking sheet leaving about 2 inches apart and bake for 10-15 minutes. For chewy cookies bake for 10-12 minutes or until they start to puff up and slightly crack. For crispy cookies bake for 12-15 minutes or until edges are slightly golden. Gingersnap dough will freeze well for up to 2 months, and baked will freeze for up to 2-3 weeks.